Our clients are never requested to deposit money for monetization with The Hanson Group “upfront” – we are compensated on the “back end” of the transaction, which means we are paid on “performance”, which is tied directly to the Agreement between the client and the Hanson Group. We monetize your instruments, by giving you a Loan, that our group is capable to negotiate, through careful negotiations with an attorney-trustee office in the USA. This is a loan that you will very seldom have to pay back, and if you do end up having payments, they will be at a low rate. our clients will receive their funds from an attorney trust IOLTA federal bank account with a legal opinion so our clients won’t have to deal with problems on the released of their funds with their local banks. 1. Euroclear – Euroclear settlement process is fast, transparent and uses the Free Euroclear Delivery process so Clients DO NOT incur any SWIFT FEES or Delays. Euroclear is a well established European financial transaction settlement network that was founded in 1968 by JP Morgan and continues to operate successfully employing over 3500 people today. 3. DTCC – We accept delivery of the Mid Term Note (MTN) by DTC was also known as DTCC (The Depository Trust & Clearing Corporation). The advantage of DTC is that clients using this process to deliver a Mid Term Note (MTN) DO NOT incur bank SWIFT FEES. DTC is a well established International business that was founded in 1999 and in 2015 was recorded as settling 1.5 Quadrillion Worldwide making its the highest value securities settlement processor in the world. 4. 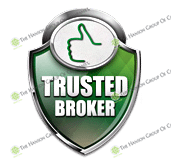 Bloomberg – The Bloomberg process is extremely fast and there are no SWIFT fees. 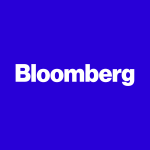 Bloomberg was founded in 1981 and is one of the most established financial transaction networks in the world. Hanson Group Monetization services are ideal for clients looking to Discount, Monetize, or create an immediate Non-Recourse loan against a Mid Term Note (MTN) that they own. The Monetization process for Mid Term Note (MTN) issues Non Recourse funds to the Client shortly after the Mid Term Note (MTN) is delivered to the Monetizer. Loan to Value (LTV) for a Mid Term Note (MTN) of 10M to 500M – 65% Non-Recourse Loan with a Rated Bank instrument or 45% Non-Recourse Loan with a Non-Rated Bank instrument. 10M to 500M Mid Term Note (MTN) – 65% Recourse Loan with a Non-Rated Bank instrument or 80% Recourse Loan with a Rated Bank instrument – This loan has an interest between 2% to 7.5% per annum and can span up to ten years in length. Note: 5 % commission is paid on Non-Recourse and Recourse Loans. After execution of the monetization contract by both parties, the Client will instruct his bank to send SWIFT MT799 to the bank coordinates provided by the Monetizer. On receipt of the Monetizers bank, SWIFT MT799 the Clients bank will deliver the Mid Term Note (MTN) by SWIFT MT760 to the Monetizers bank. Upon receipt, confirmation, and delivery of the SWIFT MT760, the Monetizer will within maximum seven (7) banking days grant a Non-Recourse Loan for the LTV as agreed from its nominated bank to the Client. After execution of the monetization contract by both parties, the Client will instruct his bank to assign the Mid Term Note (MTN) using FREE Euroclear Delivery to the bank coordinates provided by the Monetizer. Upon receipt and confirmation of the Euroclear assignment and delivery, the Monetizer will within maximum seven (7) banking days grant a Non-Recourse Loan for the LTV as agreed from its nominated bank to the Client. Download the Leased Bank Instrument Monetization Application & Agreement Here!